Annabel Fuller, who is a member of Ilkley Young Writers, recently won the Forward Prize/ emagazine Student Critics Competition. We asked her to tell us how she found out about the prize and why she entered. I heard about the Forward / emagazine Student Critics Competition on the Young Poets’ Network website, and decided to give it a go. 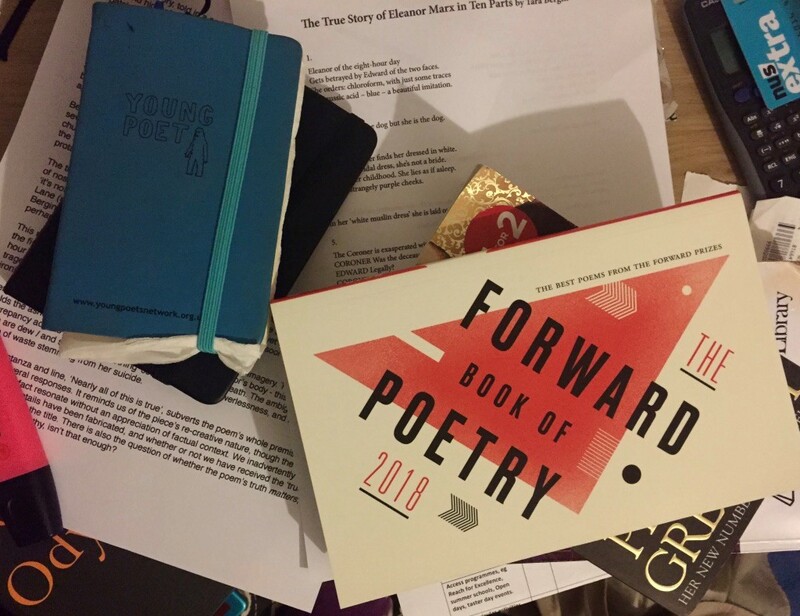 The brief was to read some of the poems shortlisted for this year’s Forward Prize, and then produce a creative critical response to it. The poem I chose was The True Story Of Eleanor Marx In Ten Parts, by Tara Bergin. As soon as I read through the poems, I knew that this was the piece to choose; one day, I hope to be able to write with the same aloof confidence, and produce lengthy, experimental pieces of my own. I went to my first Ilkley Young Writers summer school four years ago, and have been a member of the group for a year. In such a short space of time, my ability to get ideas flowing from mind to paper has improved so much. I’m still developing my performance skills, but these have really evolved thanks to the chances we get to read out both in Monday meetings and at Ilkley Literature Festival’s poetry events for young people. I’ve progressed from rarely making eye contact during a reading to performing in front of a theatre crowd at StAnza Literary Festival last January. The other technique I’ve been focusing on recently is editing, which I put into practise for this competition – whittling my essay down to a mean 500 words. When I wrote my response, I never expected it to make the shortlist, yet alone win, and for me to be invited to the Forward Prizes awards ceremony in London. Writing is something I love, and I’m gradually starting to see results from all the time I spend on it. My advice to any young writer would be to keep getting words on the page, and I really recommend joining a group like Ilkley or Bradford Young Writers, to work on your words and surround yourself with like-minded people.